The most important thing you have to consider when buying a new mattress is not just how it feels but also the return policy. This is an investment in a piece of furniture that you will be spending up to one third of the next eight years on. The difference between you getting a good night sleep and being restless could be in that mattress. That’s why it is essential it needs to be a perfect fit. It won’t feel great the first couple of nights. In fact, it may take up to 2 to 3 weeks for that mattress to conform to your body. That’s a long you should allow for the adjustment period. If after that time it still feels “off,” then you should think about swapping it out. That’s why a 30-day return policy is so vital. A 45-day return policy would be even better! The other thing you need to consider is how to handle your old mattress disposal. That’s easily taken care with one call to Junk King San Diego. 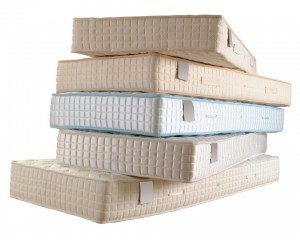 Mattresses are one of the most popular things the Junk King San Diego takes from homes and apartments. In extreme cases, some of those mattress removals involve a bedbug infestation. It will be helpful to let Junk King know that’s what you’re dealing with because they have to take special precautions. But it won’t be a problem and it will be an extra charge. It may seem like you’re going overboard just to hire a pair of movers and a truck to get rid of an old mattress. Instead, think of it as a chance to get rid of all the rest of your unwanted clutter. Put that two-man crew to work loading up their truck with the clothes you’re not going to wear, the toys not being played with, the books that aren’t being read and the exercise equipment that is being used. There’s also plenty of old electronics you could probably get rid of is well. What about anything in the backyard? Junk King isn’t limited to just taking away clutter from inside the house. If you want to get rid of an old mattress and the rest of your unwanted junk, then you need to bring in Junk King San Diego. This entry was posted in San Diego junk removal and tagged junk King, junk removal, old mattress on October 23, 2017 by Junk King. Last updated October 23, 2017 .